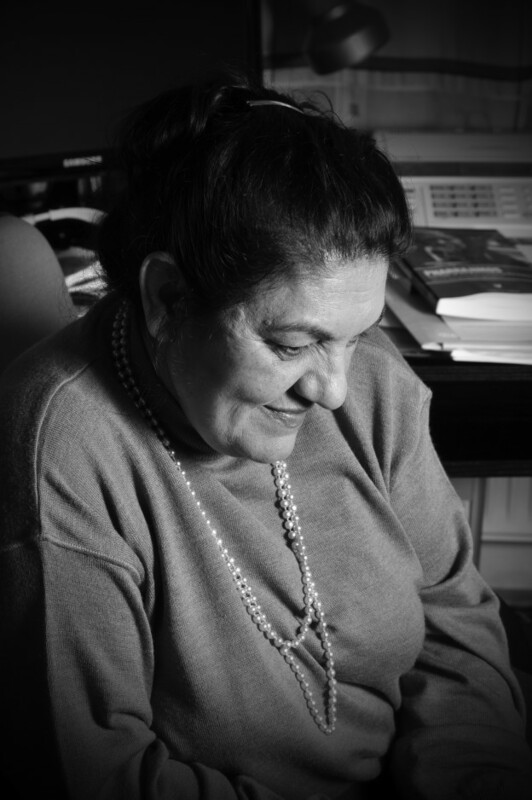 Erzsébet Báder is the cog around which the eminent Roma Education Fund turns. She is an Hungarian Roma, holding a BA degree in English studies. 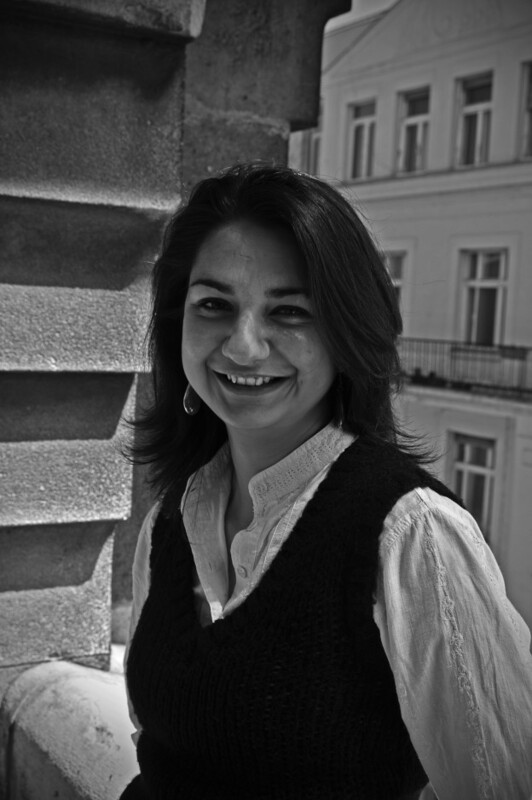 She worked as international coordinator at the Roma Press Center in Budapest, and prior to that participated at European Roma Rights Centre as researcher, focusing on Roma education in Hungary. Then took part in Media and Marketing training program of the Centre for Independent Journalism, Budapest. Worked for local TV stations in Hungary. In 2007 Erzsébet was press coordinator for the Chachipe photo contest, organized by the Open Society Archives and Open Society Institute. Dr Tibor Csanya. Attorney. 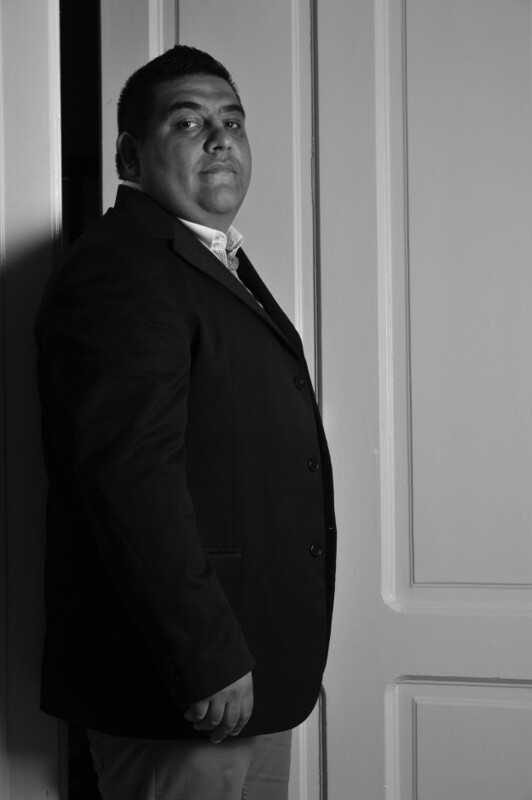 Time was, the notion of a Romani attorney was seemingly inconceivable. By some. 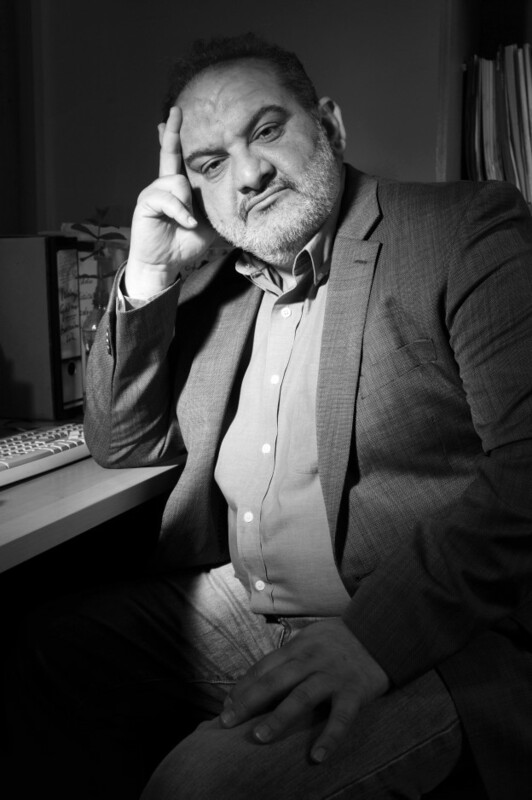 Dr Csanya is here both to tell you that a Romani attorney is viable, and that his generation produces many more. Advisor with promising future, to an Hungarian Member of the European Parliament. He completed apprenticeship in the European Parliament, 2010-11. Entirely fluent in English. There truly is no upside limit to Mr Csanya's further career. May that such capable people join the mainstream, where they rightfully belong. By Gilda Horváth: Ágnes Daróczi was born in 18 November 1954 in Berettyóújfalu. She holds a degree as secondary school teacher (1978, ELTE BTK), specialized in Hungarian language and literature. Moreover, she is a cultural manager, reciter, journalist and minority researcher. Ágnes Daróczi says this about herself: I was raised in Bedő, a Romanian/Hungarian Roma village of hardly 300 residents, as the first of five children in our family. 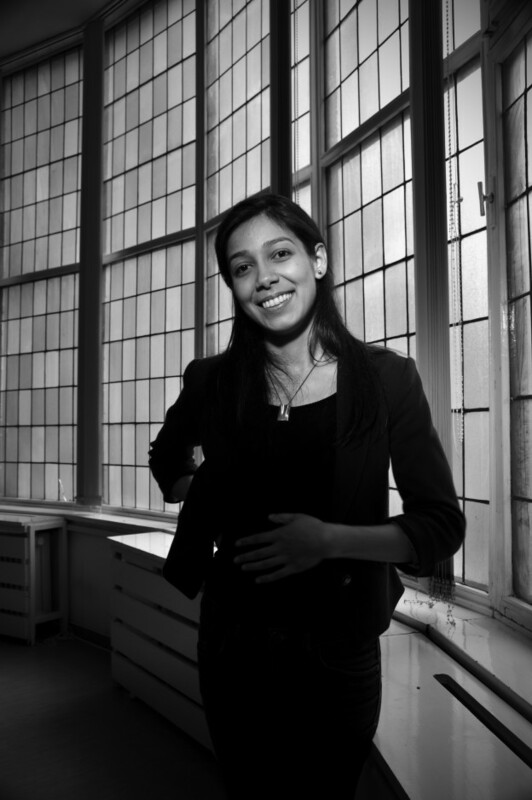 I was one of the first Roma women to obtain an university degree. In high school I specialized in chemistry and physics and was preparing to become a chemist for two years, yet my attraction towards arts and my creativity defeated natural sciences. For the first time in history of the Hungarian television, MTV commemorated the 50th anniversary of the Roma Holocaust (2 August 1994) in an 8-hour program flow. Great artists such as the film director Miklós Jancsó, the writer Menyhért Lakatos, the painter Tamás Péli or Stefan Grapelli, playing music with Django Reinhardt, came to our assistance in this. The most successful example of our cooperation was the prevention of the plans for a "Gypsy ghetto" in Miskolc (Anti-Ghetto Committee). This was the path that lead to the establishment of the first democratic Roma organization Phralipe. As part of a PHARE-project, following the analysis of an extraordinary set of data and several decades research work, a first Roma Holocaust exhibition was arranged (2004) followed by the design of a book on the same subject. The "Pharrajimos – romák sorsa a Holocaust idején" has since been published also in English and Croatian. One of the impressive scholars we encountered in Budapest. Every one of them a star of matriculation at the Central European University, itself a triumph of education. Here is Anna Daróczi, who covered us with her wit, her intelligence, in the end, her friendship. Newly-minted Master's post-graduate, Gender Studies. Gender Equality Research Fellow with the esteemed ERRC. Currently an intern within the US Congress. Admin Intern at CEU's Roma Access Programs, with a ton of responsibilities there. She returned in July 2014 to the Summer Academic Campus on Romani Studies, Université de Lyons. Her topic: Anna Daróczi "Women's and Children's Health and Education in the EU Roma Integration Framework and in the Hungarian National Strategy for Roma Inclusion: Underlying Presumptions and Implicit Goals" She has delivered several papers of like level over the past five years. In short, here is example of the best of Hungarian society. Here's a welcome departure. Franciska Fárkás. Actor. Star of a popular soap opera on television. But so much more. From her bio: she is a social worker and sign language interpreter. She has starred in Swiss feature films. Besides the ongoing work on television, she has starred in theatre and other television roles. She wishes to build on her already successful education. And to survive. Her plans for the future? Kossuth Prize, Mari Jászai Prize, Academy Award. Her comment: Life is a traffic jam. RomaRising presents middle-class and professional-class individuals thought impossible to exist by those with stereotyping in their hearts. Some categories among those with professional careers were obvious: doctors, lawyers, political scientists, writers, those in the arts. There also have been the elusive: architect, economist, banker. Imagine our joy at being referred to Attila Gulyás, brother to Erzebét. Not employed to service Romani accounts, or deal with a specialised clientele. No, he is a bank official, with management responsibilities, the genuine article. And without any sense of concealing his identity. How about that. It is not out of place to express a hope: that people with talent among the Roma, such as Attila Gulyás, be one day welcomed into mainstream life, no longer confined to the ethnic bubble. "My family has always been my rock, my foundation. Thanks to my parents, I grew up in a safe, secure environment." Erzsébet's family came from rural Eastern Hungary. During the communist period her father was offered a factory job in Budapest which came with a free apartment. The family moved to the city. "My father wanted to move forward, to build a family and a good life for his children. Erzsébet's parents constantly stressed the value of education to their children. "Your job is to study," Erzsébet remembers them saying to her and her brothers. She credits the schools and teachers for helping the Gulyás siblings to excel. "In elementary school I had a teacher who taught me how to read and write. She wanted me to perform at the top of my class. She always compared me to myself and taught me how to challenge myself to do better. By the time I got to secondary school, studying was already in my bones. I wanted to prepare for a really serious career such as a lawyer." "Mine was the 'can do' generation. A decade ago, Hungarian people, including Roma, had more opportunities to move up in terms of social class, to attend the best universities, etc. Nowadays the barriers are monumental." After some consideration, Erzsébet decided to pursue a course of studies to become an architect. She attended Moholy-Nagy University of Art and Design (MOME) in Budapest and obtained a degree in Architecture and Design Management. A position with an architectural firm in the UK presented itself and Erzsébet moved to London. Unfortunately, the recession of 2008 caused the government to eliminate the project in which Erzsébet worked so she had to return to Hungary. While studying for a graduate degree in social anthropology at CEU in Budapest, Erzsébet applied to the Romaversitas Foundation and was accepted into their programme for university students of Roma background. "I was the only Roma student in my class at Moholy-Nagy University. Romaversitas gave me an opportunity to meet others who could relate to my experiences. 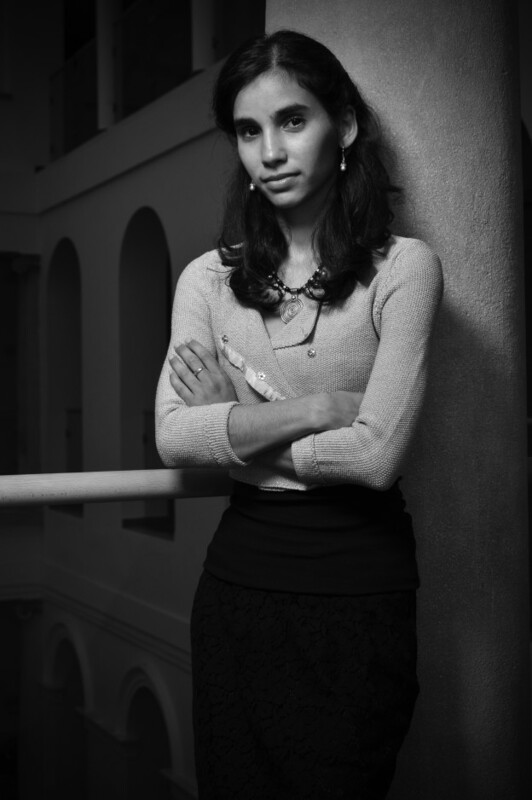 In fact, the current director of Romaversitas, Henrietta Dinok, was a fellow student." At Christmas time, Erzsébet's family invited a visiting Romaversitas professor from the United States to celebrate the holiday season with them. "Over dinner on Christmas Eve, she asked my father – 'If you had the chance to do anything in the world what would it be?' After a moment of reflection, my father replied, "I would do everything I could for the poor. I would dedicate my life to this work." My father's response reinforced my own goals. I believe my destiny is to be involved with a foundation committed to developing sustainable projects." Erzsébet cites her work with the Autonomia Foundation as key to understanding the housing challenges of poor families both Roma and non-Roma in Hungary. "My experience with the Autonomia Foundation's Individual Development Programme, providing assistance to poor rural families with housing issues, made me determined to incorporate development initiatives into any traditional architectural projects. (en.wikipedia.org/wiki/Individual_Development_Account). Unfortunately, at least within a Hungarian context, there are no opportunities at the moment for social architectural projects." Erzsébet and her husband, a 3D artist for an animation studio, live just outside Budapest. They recently adopted a little boy. "His name is Milan which means kind. He is Hungarian from the south of Hungary. We do not know a lot about his birth parents. As father and mother, our job is to give him freedom of choice to grow into the man he wants to be." "That's life. We work on ourselves, our careers, and then a child comes into our lives and everything begins again from scratch." "I co-founded The Committee Against Segregation, established 1988-89, in Miskolc. I was the first Romani MP in Hungary. In 1995 I established a foundation on Romani civil rights preservation and Romani Information Centre. I have 4 children and 3 grandchildren! I live according to my personal and factual possibilities. I want to have greater influence on future of my country and my community. I would like to preside over movements on integration of Romani and to establish an independent Romani political party. My biggest challenge is to help my community and work on preventing genocide in present times." In keeping with the theme of Romani in law enforcement, so very essential, contemplate Joszef Horváth, Police Detective in Miskolc. Not obvious in this image, Detective Horváth has a ready mirth. I certainly would not wish to be subject of his scrutiny. We composed this image step by step, until just the right sense of seriousness came across... Imagine the work he called upon daily to perform, then understand his professional sense of purpose. The right guy in the right place. Raymond Chandler would know this person. Don't be misled by this rather mild portrait. 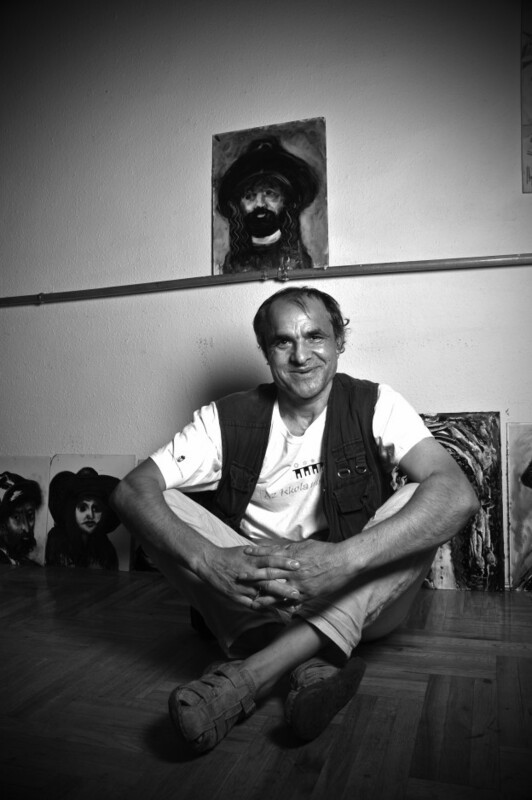 Zsolt Horváth is a world-class artist. Substance: Zsolt is a brilliant comedian (as anyone seeing his over the top Facebook posts knows). He is a marvelous vocalist and actor. He is a thorough musician, surpassing composer. He leads what surely is one of the very best performance groups anywhere, Romani or not. Look up Romano Teatro. He re-interprets Shakespeare to Romani context, adds music and dance. More. He dedicates a portion of his budget, when possible, to provide nourishment to those in need in his community. And that, friends, is one of the most dolorous places in Hungary for the Roma, Miskolc. Everyone around him is utterly peerless. Singers (as son of an opera singer, I count his wife among the most notable I have ever heard), actors, players, dancers, set designers. And don't forget the chef. Broadway on a good night. József Horváth is a molecular geneticist whose research focuses on causes, types and treatments of oral cancer. József was born in Karcag, a town in eastern Hungary, near Debrecen, Hungary's second largest city. His family are of the Lakatos or locksmith vitsa. József was raised in a Roma community by his father, József senior and his mother, Ibolya, along with his three older sisters and one older brother. His brother is now a house painter. All his siblings finished high school and are now settled with their own families. His mother and father are divorced. The Horváths were a poor family. The Roma community in which they lived is separated from the main part of town. During the communist period, József's father, worked for the agricultural commune system. Later he worked for the Hungarian railways. In about 1985, he built a house for the family. "We have title to our house because it was built by my parents." "When I was a child, my Godfather who was not well educated, but very smart, educated me in the importance of education to counter stereotypes of Roma people. 'It is the only way to change your destiny'." After the end of communism in the early 1990s, Roma people lost their guaranteed jobs and their standard of living decreased. Although still very young, József realized that his only option was to study. In Hungary, residence determines which school a child attends. Since the Horváth family lived in the Roma community, József had to attend a segregated elementary school in Karcag. "When I entered Kindergarten, I already knew how to read and write because I had read my sister and brother's homework. That set me apart from my friends. I absorbed information like a sponge. I loved learning anything new and got bored easily." József began secondary school in Pecs, but it was too far from home to be feasible, so he returned to Karcag. Just after he returned, József met the biology teacher who would set him on a path toward higher education. She realized that he had academic potential and gave him challenging projects at a university level while József was still in high school. Drug use had become wide spread in the Roma community by the early 2000s and the local high school sponsored a competition among students to determine what the effects of cannabis are on the brains of teenagers. József's hypothesis won the competition and led him to a scholarship at the University of Drebecen. József graduated from university with a degree in biology and began work in 2009 as a university research assistant. He completed his master's degree in molecular genetics in 2013. "When I finished my master's, I wanted to find a job abroad to earn a better salary. I sent my CV to the UK but never received a response. Apparently, God wanted me to stay here in Hungary." "As a child, I attended the Roman Catholic church. When I moved to Drebecen to attend university, I met a Roma pastor, the first in Hungary who is a university graduate and a member of the evangelical church. I became a member of the evangelical church and met God." In 2015, József entered the PhD program at the medical university of Debrecen. His specialization is early diagnosis of oral cancer through bio-markers. In the same year he received his first award from the Roma Press Center (Roma Asjtokozpont). He was recognized as a person under the age of thirty who could serve as a role model for both Roma and non-Roma. Since then he has received four more similar honors. 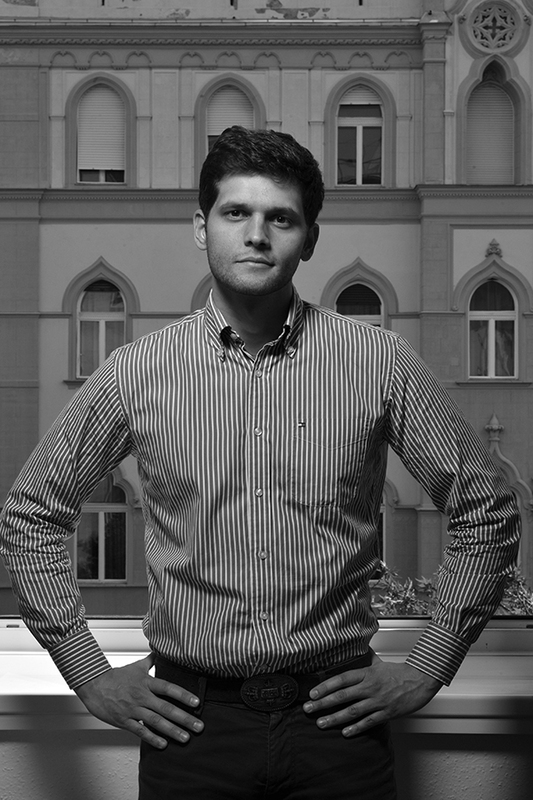 József is currently writing his PhD thesis and working at the university. The title of his dissertation will be related to early diagnosis of oral cancer through bio markers in the saliva. Hungary has the highest incidence of oral cancer in Europe. József's research sample includes participants from all ethnic groups. He would like to do a differential study by ethnicity, but funding is not available. In 2017, József began researching the medical use of CBD (Cannabidiol) in alleviating the side effects of chemotherapy. His work encompasses studies of the benefits of anti-fungal and anti-cancer drugs used in concert with CBD. Unfortunately, the Hungarian government is not making funds available to support this research. József considers his finest accomplishment to date to be the design of his FB page. "Public doctors in Hungary see up to forty patients a day. They don't have time to explain the results of lab tests such as CT Scans, MRI, CBC blood tests etc. Private doctors charge 30,000 Forints (about $108 US) to explain each test result. Through my Facebook page, I offer free of charge the information a patient needs to move forward with his or her treatment options." For four years, József has provided a resource sadly lacking in the Hungarian medical system for those who do not have the means to visit a private clinic. 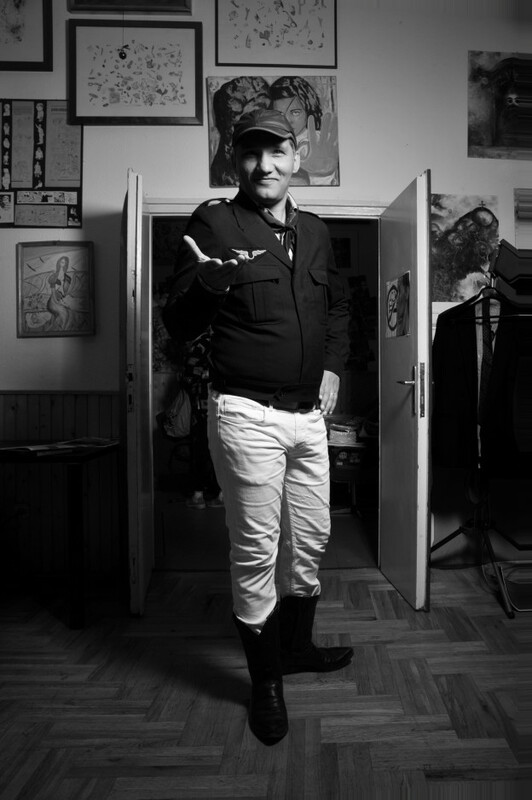 (József Joz Horváth @ officialjoz). "When I was 6 years old, I looked around and said to myself why should I allow myself to be treated the way I see Roma treated in this country. I have been following this path ever since. Just looking at me, people might assume that I am a bad person; perhaps I sell drugs. In reality I am a man of God and a scientist." 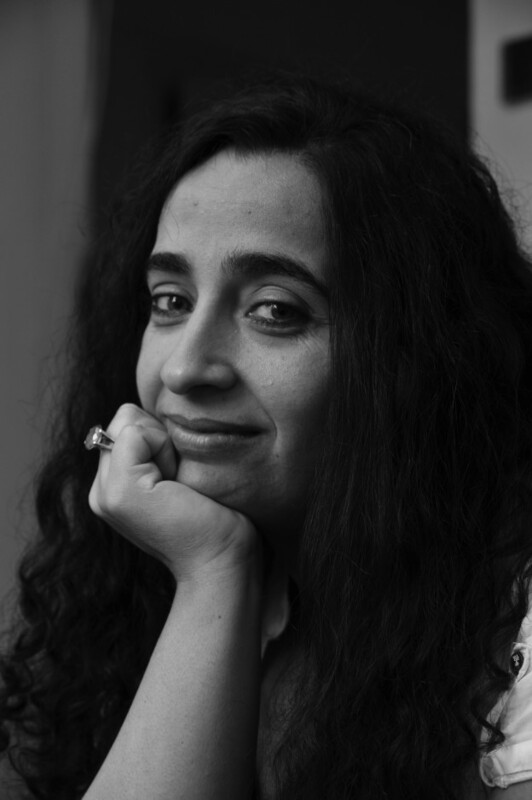 She started her career in the Budapest-based European Roma Rights Center and later became a Consultant with the United Nations Office of the High Commissioner for Human Rights, the Open Society Institute, the Roma Education Fund, and the Association for Women's Rights in Development. She completed field missions in Somaliland/Somalia where she worked with the Somaliland National Youth Organization (seconded by the London-based Progressio) and gave human rights lectures in Hargeisa Law University. Afterwards, she moved to Srebrenica, Bosnia and Herzegovina, to join the Organisation of Security and Co-operation in Europe as a Human Rights Officer. She was the Chief of Staff of the Social Inclusion State Secretariat of the Hungarian Ministry of Justice and Public Administration and was responsible for several key priorities under Hungary's EU Presidency, including the establishment of the European Framework for National Roma Integration Strategies. 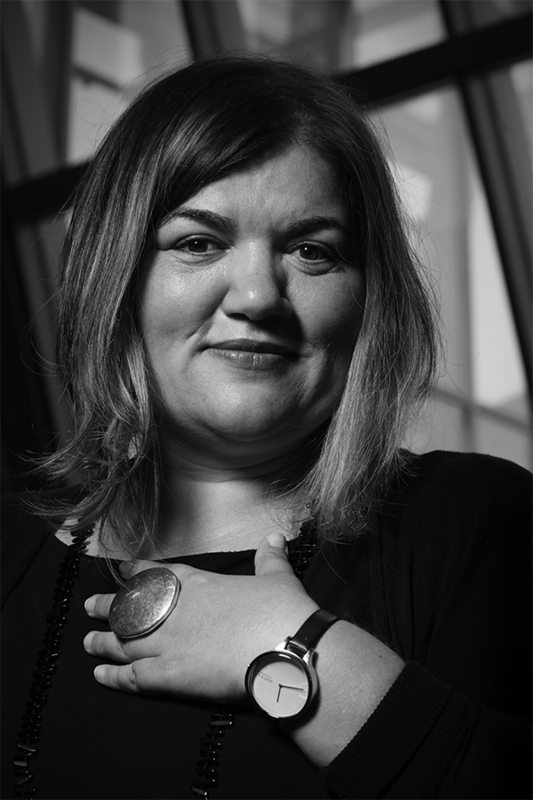 Angéla Kóczé is currently assistant professor of the Romani Studies Programme and Academic Director of the Roma Graduate Preparation Programme at Central European University in Budapest. She enters this key position at a time, the fall of 2017, when CEU is under fire from the Hungarian government and #I Stand With CEU is a watch word for those supporting academic freedom and human rights throughout Central and Eastern Europe. Angéla's path to academia was not assured. She was born into a Romungro family in the small town of Kispalád in northeastern Hungary. During the communist era, her father worked in construction and her mother was a housewife. Her two older sisters completed the eighth grade but did not continue to high school. Angéla was always an exceptional student. "When I was accepted at Déak Ferenc high school, one of the top schools in northeastern Hungary, my teachers were so impressed. I believe I was the only Roma student there at that time." Angéla lost her mother in her senior year of high school. She moved to Budapest and took a clerical office job in a manufacturing company. She worked part time in an after school programme as a teacher's assistant at the elementary level. 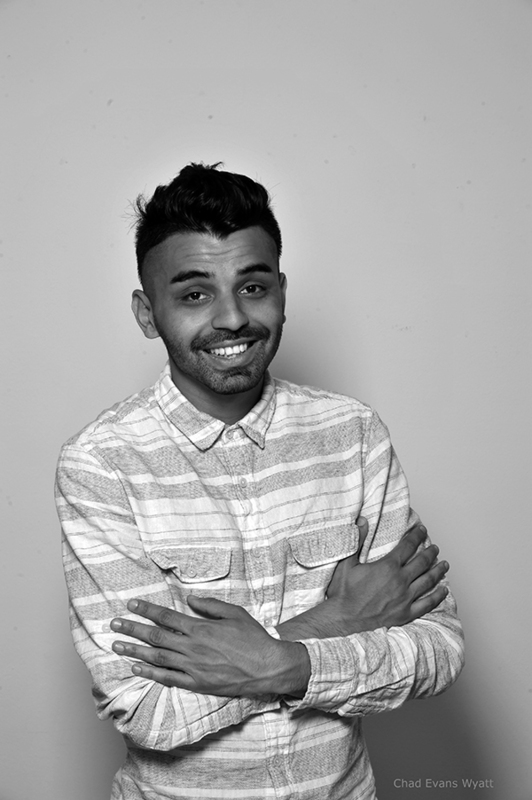 "My growing awareness of the challenges facing Roma children led me to university. None of my high teachers had mentioned the possibility of university despite my high grades. It was my own inner drive, which led me to pursue a BA in education and BA/MA in sociology at Eötvös Lorant University (ELTE). In 1998, Angéla began her post-graduate studies at Central European University seeking an MA in Human Rights. She spent one semester abroad as a visiting fellow at Columbia University in New York. 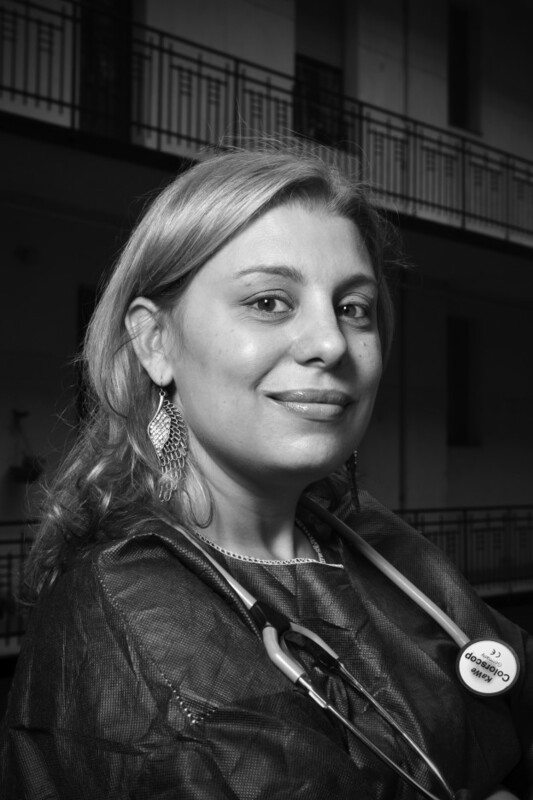 On attaining her masters' degree, Angéla became Education Director for Human Rights at the European Roma Rights Centre in Budapest. Her portfolio was to organize human rights workshops in several countries and to fund scholarships, training sessions and summer school courses for Roma law and public administration students. Concomitantly, Angéla sat on the board of the Romaversitas Invisible College. 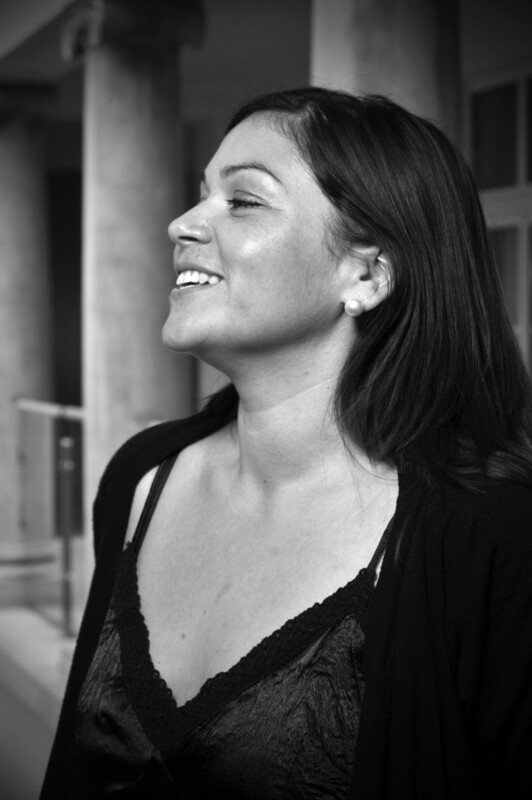 In 2003, during the lead up to Hungary's accession to the European Union in 2004, Angéla moved to Brussels to advocate for the rights of the Roma in the newly expanded EU. She was the founding director of the European Roma Information Office. "It was a very hard move because my son was only two years old at the time." Angéla returned to Budapest in 2005 to accept a position as Expert Policy Advisor with the Ministry of Social Affairs. "I was disheartened by my experiences as a woman, as a Roma, as a child of a working class family and disturbed by the lack of progress in central and eastern Europe to find resolution of class, gender and ethnic disadvantages. I determined at age 35 to return to CEU for my PhD. It took me five years. My father died in 2011 while I was defending my dissertation. I'm not sure he ever completely understood my motivation for obtaining the best education possible." Angéla followed the Decade of Roma Inclusion 2005-2015, from an "analytical distance." She was involved with demands of doctoral seminars and family responsibilities, but also consciously used the techniques of psychodrama in order to consider ongoing arguments, proposed solutions and her role in these from various perspectives. An opportunity presented itself in 2013 for Angéla to travel to United States as a Fulbright Scholar. After her fellowship, she accepted the position of Visiting Assistant Professor in Womens', Gender, and Sexuality Studies at the prestigious Wake Forest University in North Carolina. 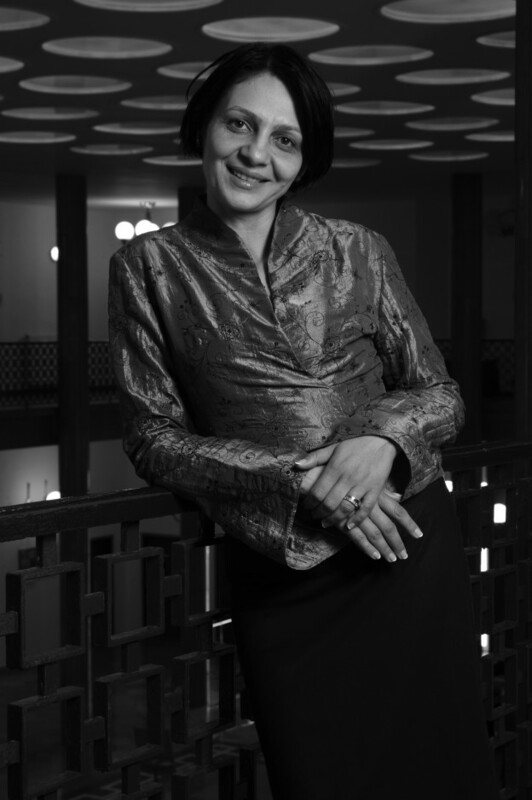 In 2013, the Woodrow Wilson International Center for Scholars, in Washington D.C., honored Angéla with the Ion Ratiu Democracy Award for her interdisciplinary research approach, which combines community engagement and policy making with in-depth participatory research on the situation of the Roma. "Budapest is where I belong at this moment" Angéla responded when asked about her recent move back to Hungary. My goal is to become a tenured professor at CEU. I have three books in the works and a couple of articles. The first, for which I already have a contract, is based on my Ph.D. dissertation topic – a study of gender, race and class focusing on Romani concerns in Europe. CEU Press will publish that text. I am also co-editing a book with Huub van Baar, The Roma and their Struggle for Identity in Contemporary Europe, which discusses issues of widespread contemporary relevance. Berghahn-Oxford Books have recently signed a contract to publish. Contributors include international voices for human rights such as: Ethel Brooks, Timea Junghaus, Iulius Rostas, Júlia Szalai, Debra Schultz, Violetta Zentai, and Carol Silverman among others. 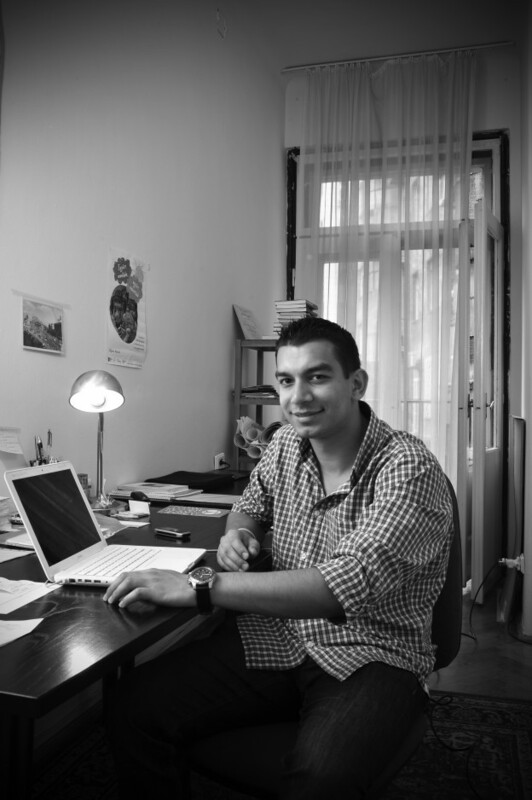 Joci Márton is one of two young scholars who were introduced to us in the offices of the Uccu, Budapest (the other, Attila Varga). Well on his way, if achieving a Master's can be called only the beginning. His wish: "To have a feeling of job well done. To keep on working in UCCU Foundation, for the next generation of Romani to look more confidently ahead and, most, that society treats Romani without prejudice." Tibor Magyar is a deeply spiritual artist. Studied with Endre Várdy. He floods one with his religious fervour. His art, which reaches for new standard, is nuanced in its intent. His motto: Pray and work; I follow Jesus. Fortunate that he welcomed us. 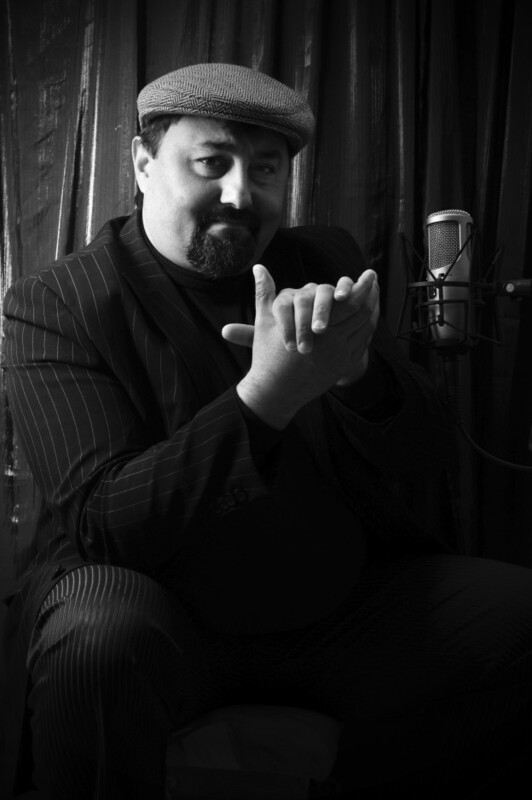 Elvis Miskolci. 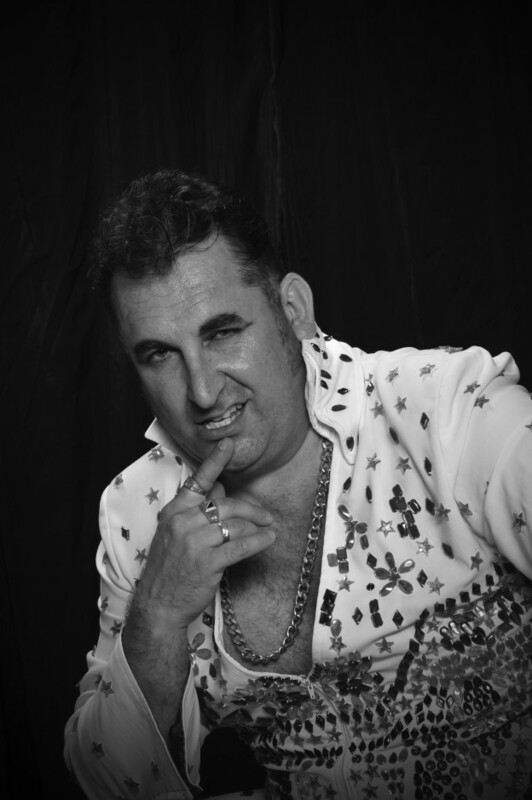 Attila Nádaski is Elvis, at least in our eyes. Fabulously over the top. But not at all the reason he's included in RomaRising HU. Rather, we gravitated to him, because he's an entrepreneur, creating his own show business. Further, he's in pursuit of his university degree. Lastly, he's such a great interpersonal motivator, and made sure we met further RomaRising participants. I look forward to returning to all of them one day. Here is someone I truly admire. Ilona Nótár is a mid-wife. I wanted health care. But got a jounalist and writer, a care giver, a blogger dispensing excellent advice. Ilona Nótár is a Provider. Sustainer. Journalist at Függetien Médiaközpont — Center for Independent Journalism. We were simply amazed at her scope. Someone beyond any expectation. 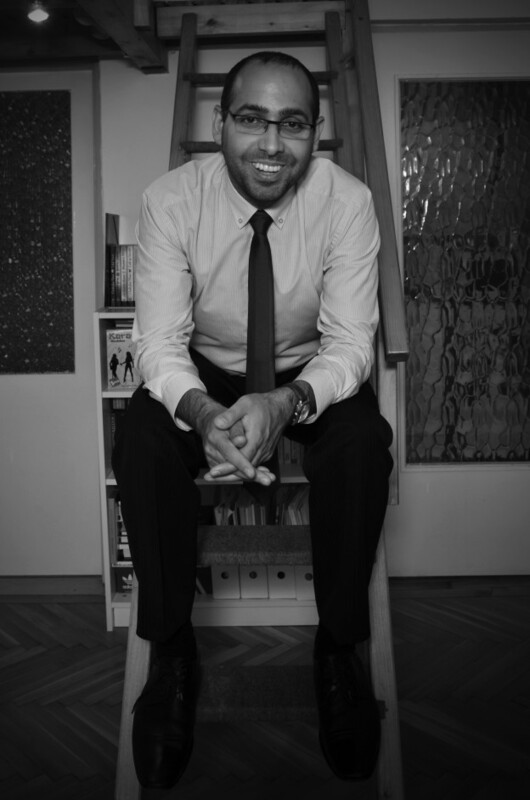 Anasztázia is currently a Senior Program Official with the Roma Education Fund in Budapest. She has a BA in Public Administration from Corvinus University in 2002, and an MA in Public Policy from Central European University. While still a student in the Roma Access Program at CEU, Alexandre Marc of the World Bank, who was at that time Executive Director of REF, encouraged Ana to apply for an opening as a program officer for the Hungary portfolio. Anasztázia was born in South East Hungary near the Romania border. She has three brothers, one sister and a dedicated mother and father. Her family is part of the Olah community who migrated to Hungary from Romania several generations back. The family name was formerly Rafael. They changed it to Nagy, a typical Hungarian surname, during WWII to protect themselves from being identified as Roma by the Nazis. Anasaztázia has heard stories of relatives rounded up by Nazis and killed on the spot. "They were not even sent to the camps just killed where they were found." Our family moved all the time when I was a kid. When relatives would move to a new town, our parents would follow them. Anasztázia attended secondary school at the prestigious Tancsics Mihaly "Gymnasium," a university preparatory institution, in Dabas, near Budapest. Anasztázia was at the top of her class, won awards in history, excelled in the high-pressure atmosphere of oral exams and yet, because she was the only Roma student in the school, found it difficult to make friends. "It took me over a year. When I was in primary school, secondary school, university, and people discriminated against me, it just made me more determined. My non-Roma roommate at Corvinus University went to the director complaining that her roommate was a "Gypsy." At that time, I had the attitude that I could overcome anything." 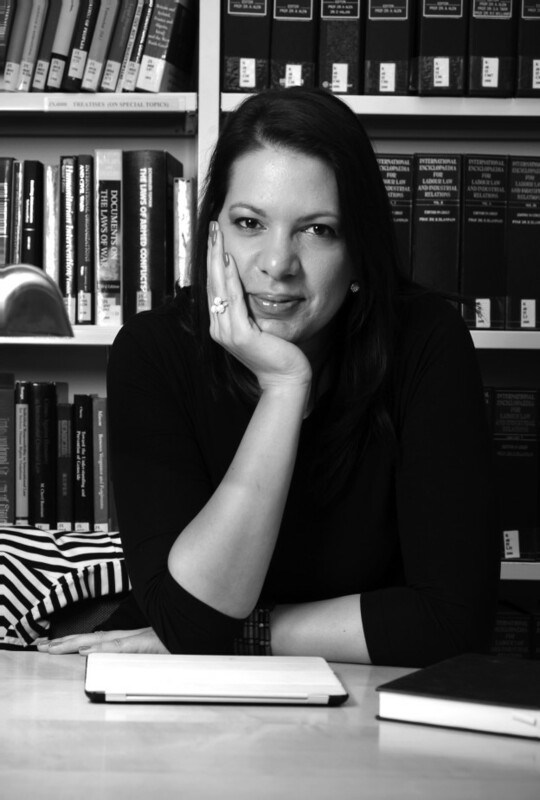 As a Senior Program Officer, Anasztázia oversees projects in several countries. Her mandate includes coordinating with country specific program officers to insure seamless operation of grant and scholarship projects. In Bulgaria, for example, Anasztázia and Bulgarian program officer, Viktoria Petrova, are negotiating with the Ministry of Education the terms of a new two- year contract due to begin in 2018. A mutually agreed upon approach to government institutions by directors of REF in various nations is key to the future ability of Roma students to access a quality of education commensurate with their abilities. "Working with young people is my passion." At present, Ana is developing curriculum for an early childhood education program. "Involving both parents and children and reaching out to Roma communities for input is the future of Roma education. Curriculae must be evaluated on site to determine the most effective strategies for learning. The curriculum is bilingual – English and Hungarian. At some point the curriculum may be written in Romanes as well." "My family is my most important accomplishment. I would also like to have time to work on educational development, with a focus on vulnerable youth, not only Roma – migrants, the disabled, children living in poverty - So many communities need attention. My greatest challenge is balancing the demands of home and work. My daughter Annabell is the center of my world. When I was a child, my mother was always home to help us with everything. I wish I could spend more time with her; my husband helps out a lot of course, but it's hard to be away from my daughter. When I was younger, I thought I could overcome anything that came my way. But as an adult, as a parent, I know that we must prepare our children and ourselves to confront prejudice and not allow it to cause us permanent harm. When we speak of a Roma movement, we must choose leaders who understand these prerogatives and who truly represent our interests." MP Ágnes Osztolykán. Would you guess that she had just returned in boots and raingear from helping with sandbags against flooding in Budapest? No? Would you guess that this lone person has stood up to Jobbik in Parliament, fearful, yet undeterred? Here is an entirely approachable politician, willing to change clothes and become Fabulous. She wore a design by beloved Erika Varga to her swearing-in. More seriously, she was denied her income by the ruling party, worked without recompense for months on end, relegated to the lower bench. Why? Guess. She is Romani. First and only elected to Parliament of her gender. Recipient of the 2011 International Women of Courage Award from the United States Department of State. Implacable, courageous. There are Romani within Fidesz, who sit quietly on their hands. Mme Osztolykán is not about sitting on her hands. Not after having come from modest background in Miskolc, pushed her way up through graduate school, stood for election. This is someone to respect. Lilla Parádi is so self-effacing. Yet, here is an internationally successful arts promoter. Once Nomada band manager, and of an alternative pub, she now concentrates only on promoting musical groups. Including that of her husband. She also was once a trade and tourism promoter. For us, a simple visit to her space brought idea of the possible. Here was the best of the Hungarian present. Among the noteworthy scholars we portrayed in Budapest, we were greeted by Szilvia Rézműves, who evinced a calm and confident intelligence. Her story is the success one would hope to be the outcome of all the systems set in motion for emancipation. Born into a small settlement in Tiszavasvári, to parents with values of work and trust. Suddenly found herself as Intern to study at St Giles College in Brighton, then the International Peoples' College in Denmark. Focus: management and facilitation with marginalised communities. Return to Budapest, where she graduated from the ELTE University, thesis on Romani children in primary schools. Now fully a social scientist, she continues research on social exclusion with the Hungarian Academy of Science. Also, she's become the National Project Officer of ROMED2-ROMACT projects in Hungary, led by the Council of Europe. Szilvia Rézműves is an inspiration. She gives special credit for her success to her father's determination to live in honesty. Zsolt Vári. Artist. Showman. King of everything he perceives. Which comes first? You can tell he is Artist when he strides into the room. No question, he brings his own stage with him. With few words, he owned all within view. This worked out as some sort of 18th century comedy. We arrived, used broken German to secure a portrait — of the wrong guy. Forty minutes later, In Walked Zsolt. Pretty much as you see here. All amusing, but his art is quite serious, the only reason to include him. We observed his several styles, all completely dextrous, often subtle, just as often bold as the great Zsolt himself. We photographed two very promising young scholars in the offices of Uccu. Attila Varga (Joci Márton was the other) approached the whole enterprise as though beset, unwilling, but then look. No wonder he has friends all across Budapest. Now studying Political Science at University level, he worked as a journalist in "Népszava", now at in radio Radiu Civil. One hopes his expression of empowerment will be inspiration for others. "The dresses and accessories I create for Romani Design remind me of my childhood and my ancestors - brought up to date. My goal is to make each and every item a message from the Roma community both as a way to help Roma integrate into society and as a reminder to the Roma community of its heritage. It is possible to keep our traditions while being part of modern society. Our cultural identity can be maintained." Erika was born in the village of Terem in Northeastern Hungary. Her parents still live there in a cozy house with a garden out back. Her surname, Varga means shoemaker. It is common for Romani surnames to be occupations, but in Hungary these names are also common among non-Roma. The Varga family has been settled for several generations, but Erika still has the kerosene lanterns which hung by the caravan door in her great grandparents' days. Erika was raised in the Orthodox Catholic faith. "Even during the period of communist rule, Greek Catholics in Hungary did not experience the harsh persecution that was common in neighboring countries." (www.cnewa.org) She was baptized during communist times. "The church was open. I even attended my first communion in our horse cart." Erika's mother, Margitka', was born in the village of Kocsord, a mainly Orthodox Christian village. Prior to WWII there was also a thriving Jewish community and a synagogue. www.jewishgen.org/yizkor/pinkas_hungary/hun493.html In the 1920s, a Rom from Kocsord translated the Bible into Romanes. Erika remembers Mass being conducted in Romanes when she was a child. The patterns of childhood. The inspiration for my designs are the patterns I saw all around me as a child. The key element around many designs is the red rose. "Always the red rose – not the yellow or the white – red roses, the symbol of marriage, of joy. In the Catholic church, Mother Mary is the Rose. That is why we pray using a 'rosary'." House interiors were colorful with hand embroidered textile and tapestry wall hangings, cross stitched by the women of the family. Rooms were festooned with good luck symbols, portraits of the family and icons to the saints. Low couches hugged the walls cushioned with goose feather bolsters in a multitude of designs. My mother's family surname was Kender – hemp. My grandmother Kender boiled rose petals and combined them with the leaves of the walnut tree to perfume our home. She sprinkled rose oil on our clothes; I remember celebrations using rose petals. My mother, Margitka, inherited her tarot cards from her mother, who had in turn inherited them from her mother. One early pack goes back to the time of the Austro-Hungarian Empire and features Hussars in braided jackets and fine ladies in bustles. The Varga home was filled with story-telling. Family stories and folk tales. "There is a story that the youngest sister of my father's mother was courted by a count from Budapest sometime in the 1930s. She refused to marry him because he was too short." Erika remembers hearing stories of Romani princes and princesses. When she was a child, given names such as Raina, Rao, and Kri which derive from Sanskrit were common 'home names'. "Roma would often have two first names, a typical Hungarian name which was used in interactions with non-Roma and a home name, which was used within the Roma community. The family would all get together for Christmas and New Year as well as for christenings, wakes and funerals. People were often buried in their best clothes. If the family was prosperous, there would be an additional set of clothes provided for the deceased. Neither name days, nor birthdays were celebrated in traditional Roma communities. Even saint's days were not observed although traditionally on All Saints Day, November 1st, the family would go to the cemetery, lay a table and have a feast. There were yearly pilgrimages to sites dedicated to the Virgin Mary. Families from various Romani communities in the region would meet up in Mariapocs, site of the weeping icon, in early September. www.shrineofmariapoch.com/history.html Everyone walked the twenty-five kilometers from Terem to Mariapocs singing and telling stories. They carried the traditional unleaved bread called 'bokolyi,' or 'vakaro' by Roma who no longer speak Romanes, along with sausages and onions – whatever was easy to carry while they walked. During Communist times informal religious practices such as this pilgrimage thrived. After the fall of the communist regime, official churches tended to frown on such practices. Weddings were generally celebrated at home with the family, not in church. A prosperous family might have a formal wedding in church as well as a wedding at home. Roma from other villages would arrive by horse cart; the locals would walk. Traditionally parents decided their child's marriage partner. However, the young people were given an opportunity to voice their opinion. Sometimes parents would not agree with their son or daughter's choice and the couple would elope. Sometimes, a sibling stepped in to help resolve the disagreement or perhaps another family member such as a god-parent. Once both families were in agreement, planning for the wedding could begin. The wedding dress would be hand embroidered with the vibrant red rose in the most intricate designs, out of the finest fabric the family could afford. Jewelry tended to be real gold. Heavy filigree earrings that were handed down within the family. Often wedding jewelry was designed by relatives who were goldsmiths. Patterns and designs used for everyday clothes differed from one Roma community to the next. In each village there would be several Roma 'kumpanias.' Each was differentiated by the way designs were arranged on a piece of clothing such as a skirt or blouse. Skirts, aprons, and head scarves were handed down. Each person would add a detail to make it their own. Traditionally skirts were pleated for warmth. Pleating made it easier to let them out as needed. "Also, if one is nomadic and can only carry what one wears, a skirt needs to have as much material as possible." Sometimes a mother and her daughter would wear the same blouse and skirt only differing in size. Children, both boys and girls would wear red ribbons in their hair to ward off the evil eye. Men tended to wear the same type of clothes in summer and winter with extra layers added for warmth. In Erika's family, men did not wear scarves or ties. Both men and women wrapped their legs and feet in leggings in the winter. With the end of the Communist regime, the era of guaranteed employment came to a sudden end. To be successful, products had to succeed in an open market environment. "For twelve years, I made jewelry and worked as social activist. But this didn't seem to be enough. I wanted to find a field which would incorporate my Romani identity and allow me to communicate my heritage. Pattern and design carry visual messages for the Roma. When I discovered the language of fashion design it seemed very natural to me. 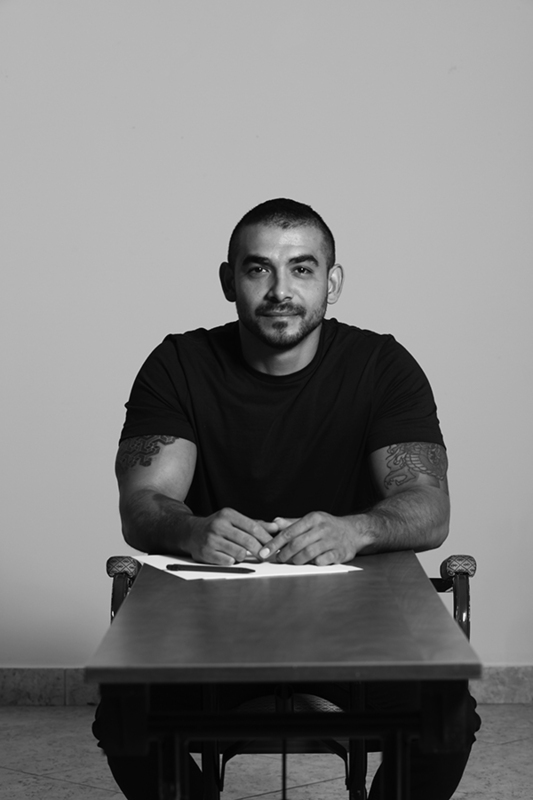 At first, I visualized designing mainly for the Roma community." 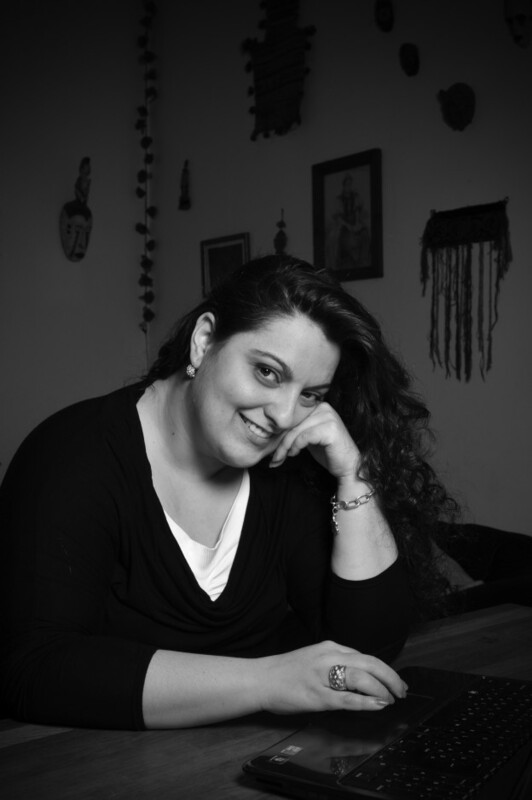 In 2010 Erika founded Romani Design, the first Roma owned design studio in Hungary. 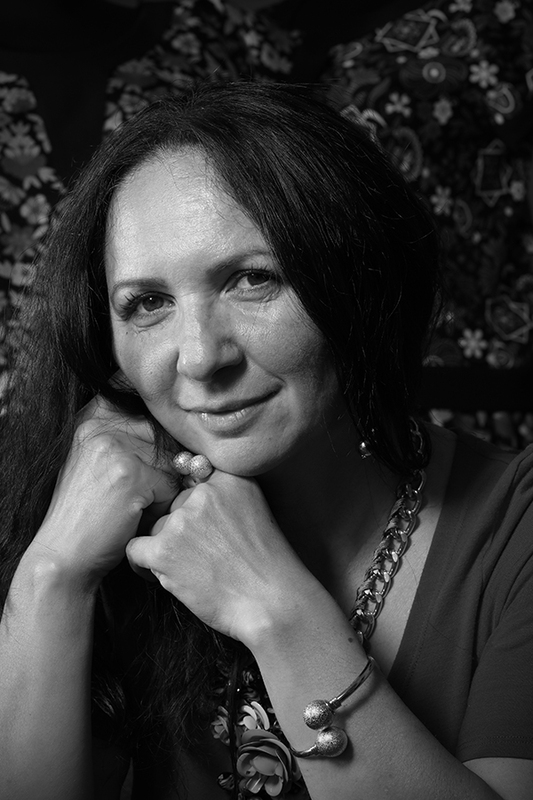 Since its inception, Erika has offered training for Roma youth and adults interested in careers in the fashion industry and has led educational workshops for non-Roma interested in the unique contribution of Romani Design to the world of fashion. "Some young people who were part of our training projects have become colleagues." Erika also publishes a children's magazine Glinda in the Romani language. "The unique handmade purses, bags and accessories complementing the Romani Design dresses are designed and crafted by Helena Varga." www.romani.hu "My sister, Helena and I plan out our collections and organize our shows." Erika's mother, Margitka, creates the Romani dolls which were featured in the 2015 UNICEF campaign, Dolls for children in danger. The mission initially was to introduce Romani Design to a mainstream Hungarian market. Erika was told early on that she had no place among Hungarian designers. "Anti-Roma prejudice is so deeply rooted in Hungary that even people who don't believe they are prejudiced, behave in a discriminatory manner." Erika Varga was not included in fashion industry literature as a Hungarian designer. The 2010 Romani Design collection, Fashion with Acceptance, spoke directly to these naysayers. Drawing on the rich texture of her childhood, Erika chose natural materials - raw cotton, jersey and viscose. These were paired with cashmere, silk and satin. Beads and ribbons, embroidery and pleats. "I just know; I remember from my childhood. The real shines through." In order to be taken seriously, a design house must present at least three seasonal collections, must establish a presence in several countries, and must be able to attract international investors. An integral part of the Romani Design mission is to promote both Roma and Hungarian culture at every runway show. From the 2011, Chameleon collection on, there has been a presence in western Europe. In 2012, Erika Varga was given Glamour's Woman of the Year award. The 2013, New Generation, Roma Image collection appeared at the Berlin Textil Art Festival. 2014 saw the Welcome Spring collection with Nikoleta Nagy of Karavan Familia walking the runway. My Identity, My Freedom appeared at the Marie Claire Fashion Show and at the Hungarian Embassy in Delhi, India in 2014. Also known as the 'Kretinca' collection, designs featured the traditional 'kretinca' or apron which was handed down in Roma families from mother to daughter. "That was our first trip to India, the first time Romani Design showed on another continent. My husband, Imre, who is a professor of the Romanes language, found that he could speak with some people in Romanes. We were told that the Roma originally came from the northern state of Rajasthan. That's possible. Rajasthan is famous for its rose gardens." To commemorate the sixtieth anniversary of the 1956 Hungarian revolt against Soviet occupation, Romani Design honoured the forgotten Roma men and women who valiantly rose up against the communist regime and sacrificed their lives for their principles with the Roma Heroes of Fifty-Six; Their Sacrifice Our Freedom capsule collection. Pieces were "minimal, pixel-designed graphics" www.romani.hu -faded portraits and names in black, white and silver. Erika sees this collection as a statement, restoring the names and faces of these Roma heroes to their rightful place in the history of Hungary. For the 2016, Icon collection, five well known Hungarian actresses evoked five iconic women: Frida Kahlo, Audrey Hepburn, Marilyn Monroe, Marlene Dietrich, and Sophia Loren. RomaRising participant, Franciska Farkas, represented Audrey Hepburn on the runway. "What I do is to rethink traditional design for a modern taste in order to attract the attention of a wider market. For example- The Frida Kahlo blouses. These blouses take inspiration from the designs of Frida Kahlo who is a role model for many young women. There seems to be a connection between some traditional Mexican designs and some traditional Roma designs. The Frida Kahlo blouses illustrate the interaction between design and culture. Wanderers of the World, 2017, explores the human propensity to wander, countering the familiar trope that only the Roma are wanderers. "How do we change, and are changed by, our environment? How do we wander through our inner worlds? Those are questions posed by this collection." 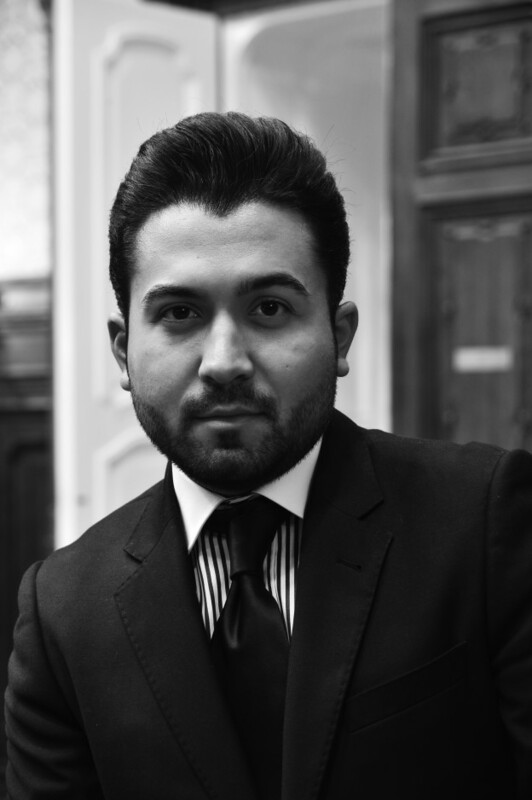 "Young Roma must have the courage and dignity to wear their identity. Being Roma is not something one can put on and take off at will. A focus on custom and tradition by young educated Roma would be a great asset to the self-esteem of Roma children and youth. Roma today seem not to recognize the importance of maintaining their traditions. Without a conscious effort to maintain our heritage, Romani culture might disappear in Hungary." "Non-Roma can represent Roma culture without appropriating it. Non-Roma can be diplomats of Romani culture. Wear the clothes with respect! Show that you value these traditional Roma designs. It is OK to wear these clothes if you are non-Roma. Recognize that by respecting the culture you are sending an anti-racism message to mainstream society." Helena Varga was born in the village of Terem in Northeastern Hungary. Helena, her older sister, Erika and her younger brother grew up in an integrated village. Her parents still live there in a cozy house with a garden out back. Their surname, Varga means shoemaker. It is common for Romani surnames to be occupations, but in Hungary these names are also common among non-Roma. The Varga family has been settled for several generations, but Helena was raised with a pony and cart which carried the family to church and social occasions. "I was only a child when I started to learn the basics of design. My grandmother made everything by hand for our family. 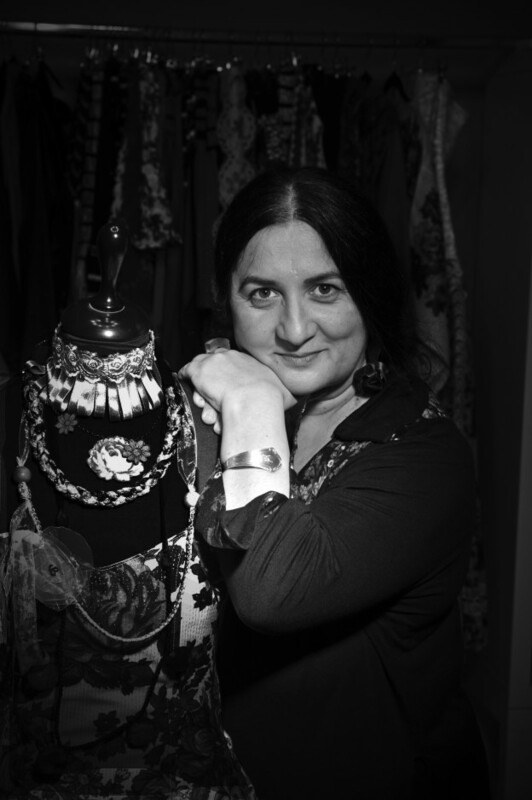 When my sister Erika founded Romani Design, the first Roma owned fashion house in Hungary, she encouraged me to start designing accessories to complement her dresses. 'Come work with me and I'll teach you the craft, Erika told me." Romani Design creations are based on modern interpretations of traditional Roma floral patterns, the red rose and its surrounding leaves, 'patrin.' Helena chooses the patterns which enliven her bags, purses, laptop cases and scarves. Building a pattern is a step by step, cm by cm process, selecting the background to pair with each detail. "One of the bags of which I am most proud, is decorated with handmade embroidery details." Some of Helena's bags are handmade; nowadays others are reproduced digitally. Romani Design has a shop in Buda's castle district. When the studio is on the road for cultural events or fashion shows, direct sales to customers happen at pop-up stores. There is also an online shop. "What I most enjoy about my job is the excitement of organizing a fashion show where I have a chance to see my designs on the runway paired with skirts, tops, dresses and jackets. I love all the Romani Design shows. Perhaps my favorite was the first fashion show we hosted at the Hungarian National Museum in 2010. Romani Design has attracted many excellent models who show our designs to best advantage. To my mind, the person who is the best model for my bags is Mark Lakatos, a Hungarian actor, model and salon owner from Budapest." At the moment, September 2018, Romani Design is taking part in the Frida Kahlo festival at the Hungarian National Museum in Budapest. There is a pop-up store and a Frida fashion show. Helena's dream is to be able to combine her career as a designer with her passion for song and dance. Her maternal grandmother, Erika Kender, was a well-known singer of traditional Roma ballads and popular songs of the day. "My sister would like me to get married, but I am in charge of my own life. I intend to pursue my career. My goal as a designer is to create panels and posters in the style of Frida Kahlo, but of my own design."